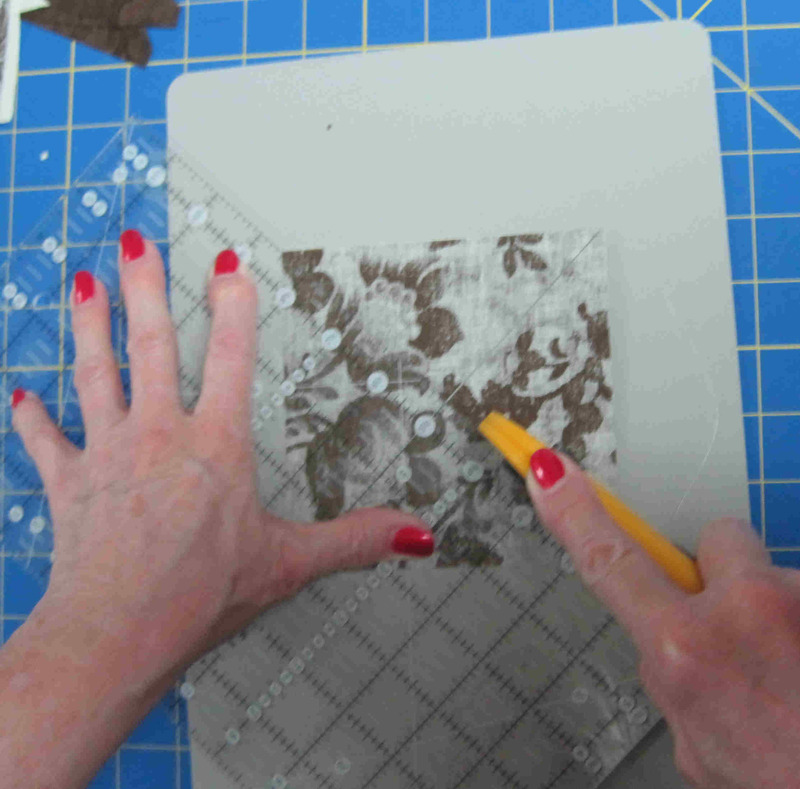 TIP: A handy tool to have before starting this block is the Marti Michelle Perfect Patchwork Corner Trimmer ($5.00). It can be purchased at almost any quilt shop. I do not know if Joann’s or Hancock’s carry them but I know that the Quilt Asylum in McKinney does. If you want to order it online go to FromMarti.com. This will reduce bulk in your seams. TIP: Prior to making sub-cuts, lay your 5 1⁄4” squares on a small cutting board that can be turned to make the sub-cuts easier. Photo 29: Sub-cut 5 1⁄4” squares diagonally to make half square triangles. Photo 32: If you have the Marti Michelle corner trimmer, trim the corners of your quarter square triangles. Photo 34: Place a quarter square triangle of Fabric 1 and a quarter square triangle of Fabric 3, right sides together and place a pin along the side to be stitched. 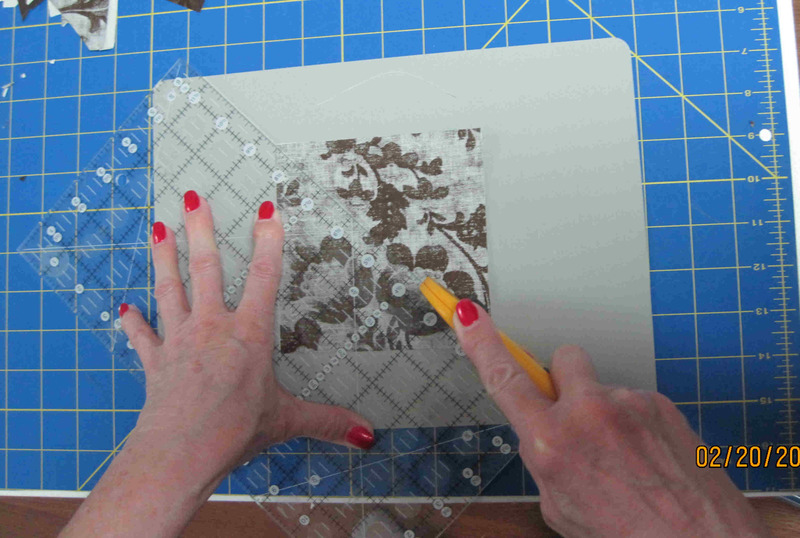 Stitch using a 1⁄4” seam.Press toward the dark fabric as shown in Photos 17 & 18 of Part 2. Photo 35: Place two of your previously constructed triangles together, right sides together, matching the seam lines and stitch and press. Photo 37: Your constructed square should measure 4 1⁄2” by 4 1⁄2”. Photo 38: Lay out your block as shown and stitch together as shown in the Block 1 instructions.Press seams so that they lay in the opposite direction from the seams of Block 1 so the seams will lay together nicely.Your finished block should measure 12 1⁄2”.